You know you want to invest in Warsaw, but only a central location will do? A spot that is within walking distance of The Palace of Culture, a stone's throw from a Metro station and a stroll from a tree-lined square? Well take a look at this. This modern residential development is in an enviable location, right at the heart of Warsaw. Built in 2009/2010 it offers the chance to be at the heart of this happening capital city. Right near the Palace of Culture and Science and the business centre, with office buildings surrounding ONZ roundabout and Emilii Plater St. There is also the neighbouring Saski Park, the Old Town and the Żoliborz District in the North. 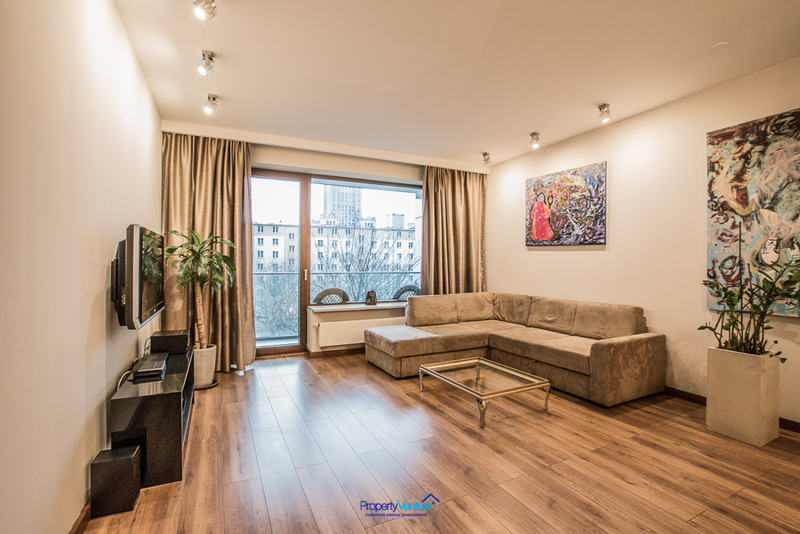 With easy access to the Vistula river this makes for the perfect combination of city-living and being close to a piece of nature and the outdoor world. 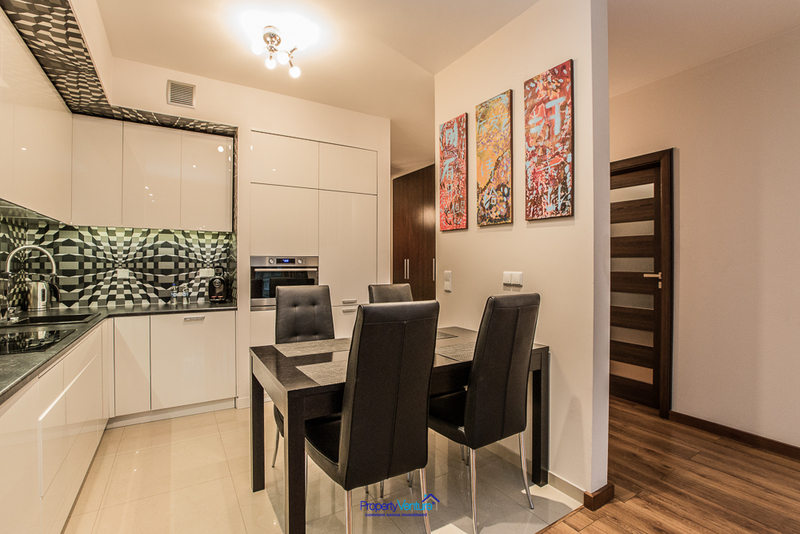 These apartments are located in the very centre of Warsaw, in Srodmiescie, the district at the heart of Warsaw. 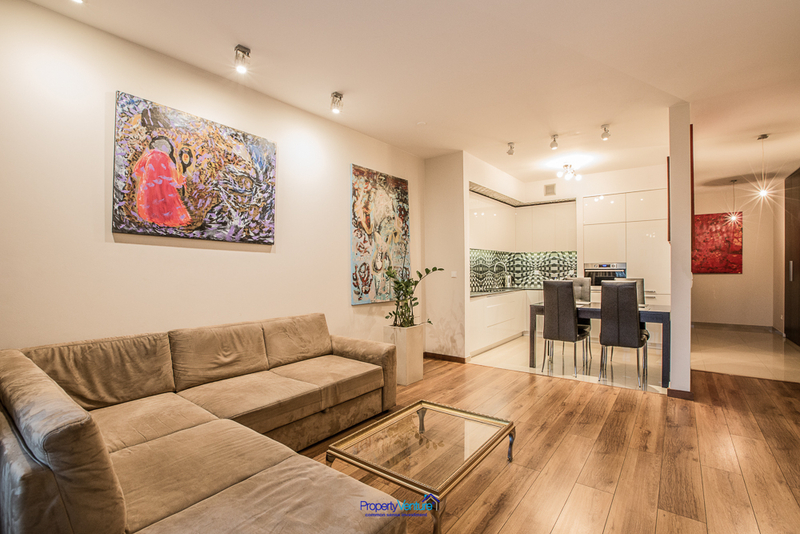 The location is perfect, between the Grzybowski Square and the subway station. Public transport here is excellent, nearby you have both Warsaw metro lines and the central railway station Warszawa Centralna. In the area there are plenty of boutiques, bars and restaurants, Zlote Tarasy shopping centre is located nearby. The proximity of the Grand Theatre National Opera, charming Saski Park and historic Old Town provides the site with a unique character and atmosphere. 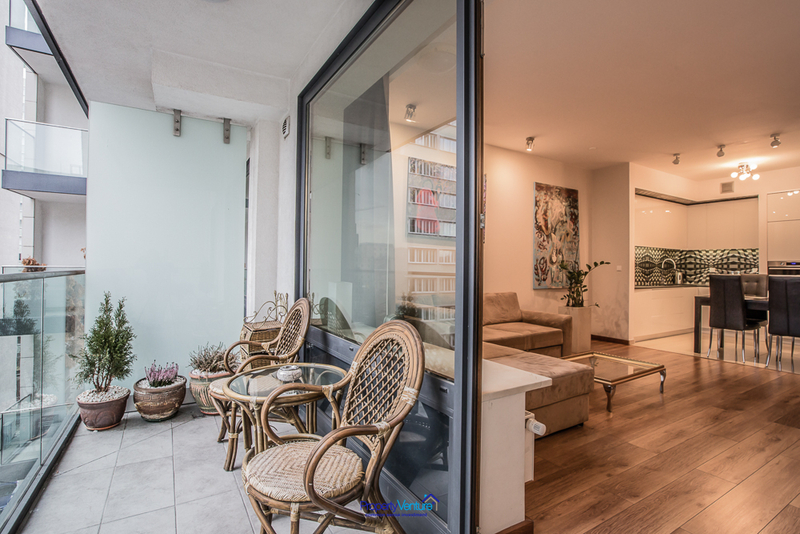 This Residence is situated in a quiet corner, in the heart of the city. It is the business centre of Warsaw, where you can combine socialising and professional time. The location for shopping, sightseeing and spending time in the best Warsaw cafes. 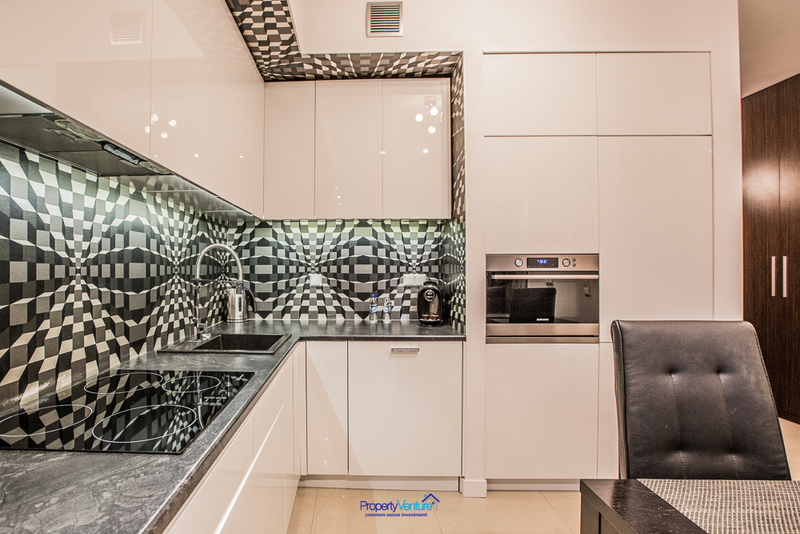 The purchase price of the apartment includes a high standard of fit-out and equipment and comes fully furnished, so is ready to go immediatey as a buy-to-let rental investment and can start earning you money immediately. You would be looking at yields of 5% on this property, with the parking space. The building is finished to a very high standard – with a beautiful lobby area, a lift/elevator, carpeted hallways. All apartments are fitted with wooden windows and marble windowsills. This spacious one bedroom apartment has a living room and a fitted kitchen area. 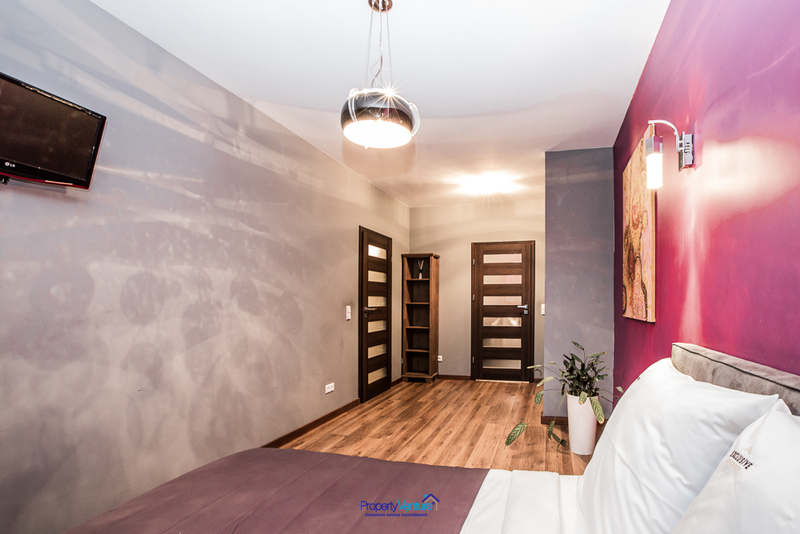 The apartment is furnished with a comfortable sofa, an LCD TV, well-equipped kitchen and an sleek, modern, bathroom with a bath. It can sleep up to 4 people if you take the lounge sofa bed into account. 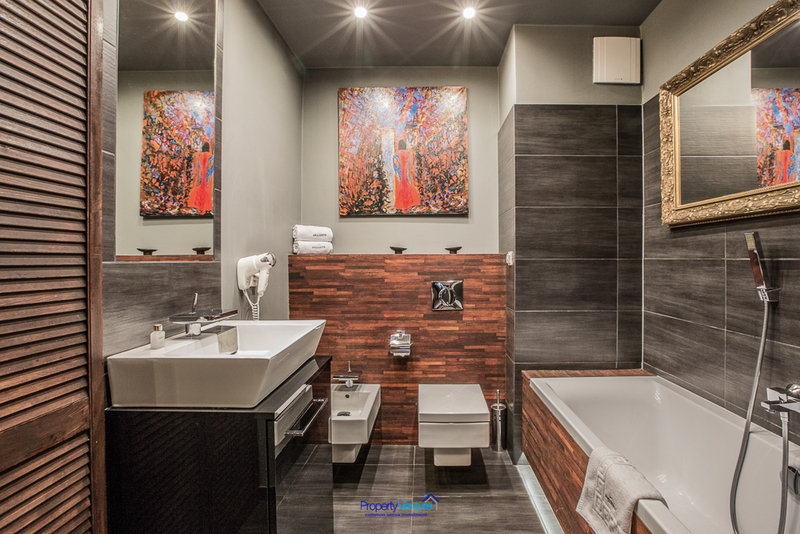 As befits modern living it comes with wireless Internet as well. Other smaller studios and 1 bed apartments are available so please get in touch for availability.